Shiann Lockhart has survived two and a half painful, difficult years. Now it’s time for her to do some living. 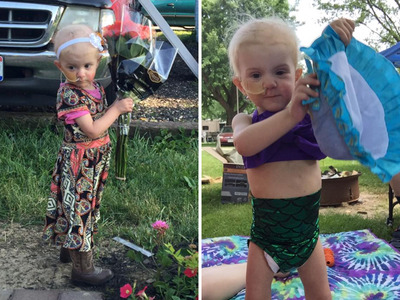 Shiann, 2, was born in September 2013 with multiple heart defects, and received a heart transplant when she was just five week old. She recovered well at first, but developed a form of infantile epilepsy after about a year. Then, in 2016, Shiann’s parents got devastating news: their daughter had developed post-transplant lymphoproliferative disorder (PTLD), a type of cancer that occurs in one to 10% of transplant recipients, according to the Lymphoma Association. The cancer had spread from her lymph nodes to her brain and all over her small, embattled body. That’s when Shiann’s parents decided she’d been through enough painful treatment, and wrote their almost-three-year-old a bucket list. Shiann’s parents created a bucket list and shared it on social media. Facebook/Shianns Bucket ListShiann painting a canvas. On June 6, Lockhart posted to a 42-item list to a Facebook group called Shianns Bucket List. It included some little things — a mother-daughter spa day, making a blanket fort, going to the movies. But it also some major milestones, like going to prom, getting a driver’s licence, and having a graduation — the things all parents imagine their child experiencing. Shiann would just have to do it all in fast-forward. Lockhart opened the group to the public, calling for new ideas. Then she got to work crossing things off the list. The first items accomplished were numbers eight and 11: “Baptism” and “drive a car” (with a little help from an adult, of course). Then Lockhart’s Columbus, Ohio, community caught wind of the project, and the bucket list took off. Facebook/Shiann’s Bucket ListShiann on a date with her grandfather. 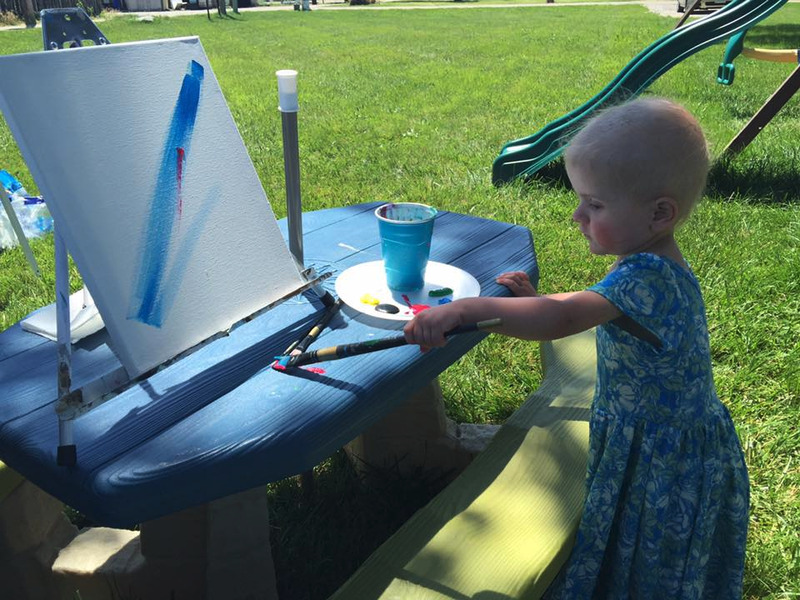 The local community stepped in to help make bucket list items a reality. A local youth athletic association arranged for her to throw out the first pitch at one of her brother’s baseball games. The fire department has offered to give her a ride on one of its trucks. The Columbus Police Department scheduled a helicopter ride. A local company set up a Disney princess tea party for her. 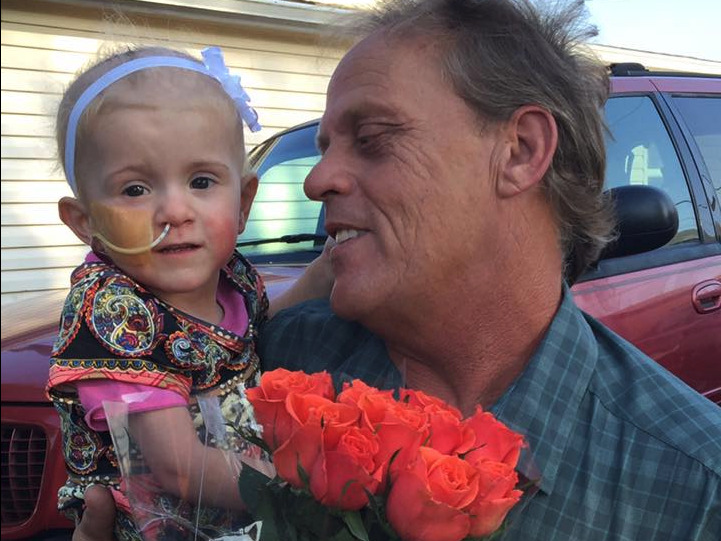 Shiann went on a date with her grandfather, complete with a bouquet of roses. She painted a canvas, rode a motorcycle, and made her own root beer float. She even appeared on TV when a local news station featured her story. Supporters across the globe even found a way to help Shiann cross off item number 20, “travel the world” — at least in spirit. Group members have flooded the Facebook page with images of Shiann photoshopped into iconic destinations like New York City, the Great Wall of China, and Hawaii. 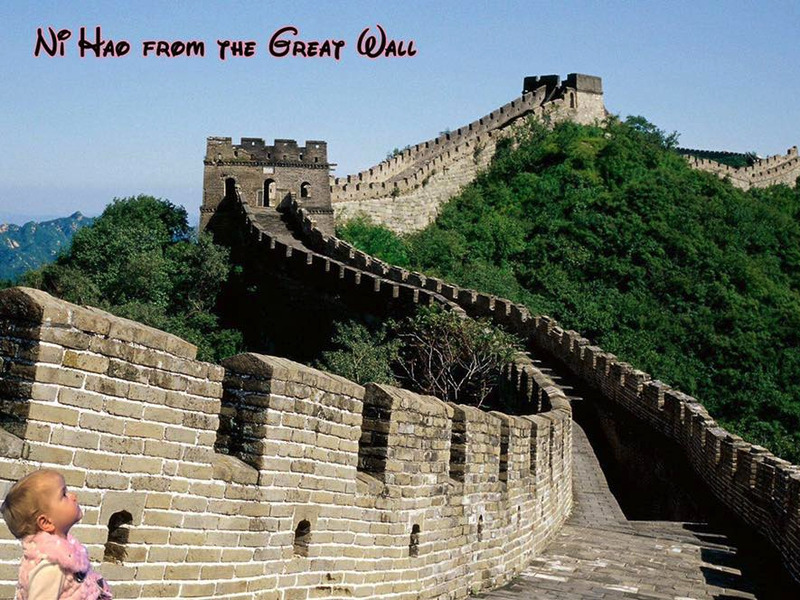 Facebook/Shianns Bucket ListShiann takes a simulated trip to the Great Wall in China. Shiann is excited about every new activity she tries — she’s crossed 8 items of the 71-item list, and has another 41 in the works. As of this writing, Shiann’s Bucket List is 71 items long. Eight items are already checked off, and 41 more are already scheduled. 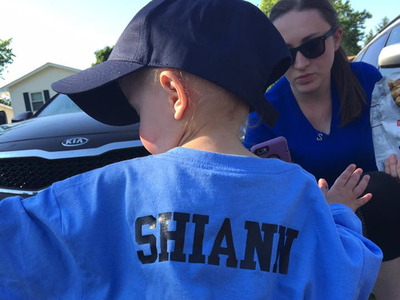 Facebook/Shianns Bucket ListShiann threw out the first pitch at a youth baseball game. Lockhart hopes that sharing this story publicly will raise awareness about both congenital heart defects and PTLD. But she also hopes it will inspire others to celebrate life — the same way that Shiann does every day. Learn more about this project at Shianns Bucket List on Facebook.